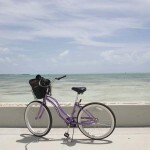 A Kase of… Biking in Key West. At night! 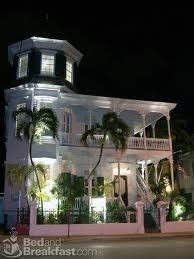 One of the best and worst things about Key West is the weather. I can picture the shaking heads of my fellow current residents in the Cleveland, Ohio area as they think of the 5+ months we have of cold, gray weather on the “North Coast”. However, this past week Cleveland (like many parts of the US) was sweltering under very Key West-like weather with temps in the 90s and very high humidity. 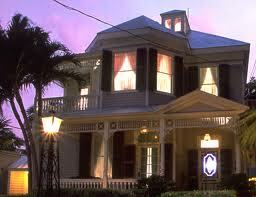 In Key West, we had five months of that weather. every. single. day. Now before you think that’s a dream come true, I ask you to think about what the hot weather has been like over the past few days – meteorologists have used words like ‘oppressive’, ‘harsh’ or ‘brutal’ to describe the heat. And that would be accurate. 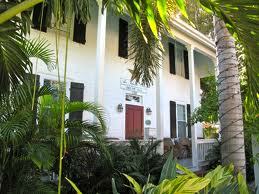 In Key West, the sun would beat down on you all day, and many jobs were outside in the heat. But, in the evening, as dusk approached and the tourists all gathered at Mallory Square to watch the sun set, I would hop on my bike and ride around the island. 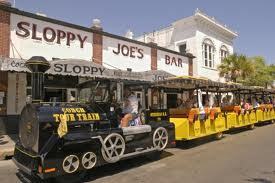 This was one of my favorite things to do in Key West for many reasons. The first was that for as harsh and brutal the daytime heat was, the night air had a gentle softness to it; a light breeze that brushed across your skin like silk. You could smell the sweetness of the various tropical plants – the Bougainvillea, Hibiscus and Oleander, plus the flowers on the Royal Poinciana trees. The scents would hang in the humid air and mingle with a freshness that can never be captured by any candle. As I peddled down the narrow streets I often found I was not the only one enjoying the night air: many of the cats from the island would sit on stairways and fence posts and watch in silence as I rode past. Some of these cats had found people to live with, others just lived from the good will of people. 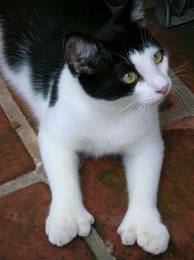 Yes, many of the cats were polydactyl cats and I would meow at them (I speak cat quite well), but most were just as happy as I was to be taking in the soothing night air. The other fun part of biking through Key West at night was the rather voyeuristic opportunity to see inside the lighted rooms of many of the old homes that had been built in the 1800s. I didn’t want to see the people; I enjoyed seeing the homes! I am fascinated by architecture and the romantic nature of these beautiful old homes: The Gingerbread houses, the Eyebrow houses and the beautiful Victorian mansions made of plank after plank of southern yellow pine, which held up through years of extreme temperatures and more than a few hurricanes. The whole experience was very soothing and relaxing, and I found myself embracing the wonder in the small, simple treasures of the island. 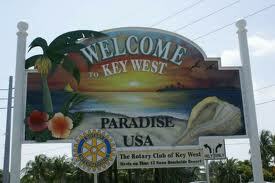 That was part of why I had moved to Key West from Chicago – to ‘decompress’ from my city life. The other thing to remember is that this was the early-to-mid 1990s, before we were tethered to a smart phone or a lap top. Forget Twitter or Facebook- the internet hadn’t happened yet. Most of us didn’t have cell phones. Long distance calls went out over your landline and cost money. Last week I went biking around my suburban neighborhood of Westlake, OH. I needed to get away from my laptop, and the the modern technology I embrace so heartily. I went biking at night, in the dark, and the air was once again so gentle after the harshness of the day’s heat. 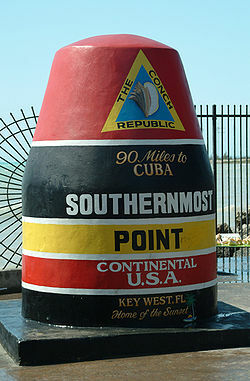 I was flooded with my Key West memories and I found myself longing for the serenity I used to feel on those nocturnal rides through the Southernmost Point in the United States. In my opinion, the McMansions of the nearby development do not hold a candle to the beautiful homes in Key West, but I was still very relaxed from the experience. I started to notice details of the neighborhood which evaded me when I drove through in a car. I began to appreciate the little things I had been rushing past for months. This time of year is always hard for me – I feel like so many people have already shifted in to Back-to-School mode, or are thinking about their fantasy football team when I want to continue to embrace every moment of summer, no matter how hot. So please take a moment to feel the air before the summer leaves us all too quickly. Take a night to turn off your A/C and open the windows. Hear the cicadas in the trees, the smell of the hydrangeas, and maybe the meow of the occasional stray cat. Summer comes and goes so quickly, and soon enough it will be cold, rainy and blustery; just a precursor to months of snow, boots and thick coats. If you have a bike, get on it – go for a ride at night (yes, have lights on your bike and be smart about it, ok?) or for an adventure in your neighborhood during the day. Coming up on Wednesday, I’ll fill you in on the details of my 10 mile Sunday bike ride which included unexpected stops at cemetery and a public baptism in Lake Erie. If I had been driving in my car, I would have missed it all! Slow down, explore and enjoy!